Hollywood meets election reform as FairVote, a nonpartisan elections reform think tank, launches a new blog focused on the Academy Awards' new instant runoff voting system for Best Picture. "Oscar Votes 1-2-3" (https://oscarvotes123.com) is the nation's primary website to analyze the Oscars from the perspective of its newly-adopted preferential voting system for Best Picture. The site will also have information about the similar "choice voting" system of preferential voting used for decades for most Oscar nominations. Last year, the Academy announced two major changes in selection of Best Picture. First, it would increase the number of Best Picture nominees from five to ten. Second, to avoid a situation in which one film can win with a small plurality - as little as 11% of votes - the Academy would return to using a system known in the political world as instant runoff voting (IRV, www.instantrunoff.com), a ranked choice voting system, to choose the winner. The preferential voting system used for the Oscar nominations is called "choice voting" (www.choicevoting.com). Members of the Academy of Motion Pictures rank their options in order of preference (1, 2, 3 etc.). Those rankings are used to give as many voters as possible a chance to help nominate one of their top choices. A film requires just over 9% of the vote to earn one of the ten nominations for Best Picture, while in other categories a nominee must earn about 17% of the vote to secure one of five nominations. To win the Oscar for best picture, a film must secure a majority of the final vote to win in the instant runoff voting system. If no film has a majority of first choices, the film with the fewest first choices is eliminated. The second choices on those ballots are distributed among the remaining films. This series of "instant runoffs" continue until one film has a majority, 50%-plus-1, against all remaining films. Winning films must have enough first choices to avoid early elimination, but also be a consensus choice, a film that most Academy members consider worthy of the honor, rather than a film that might be opposed by the majority. "Apart from being a lot of fun, Oscar Votes 1-2-3 also gives us an opportunity to educate Americans about more advanced voting systems," said elections expert Rob Richie, FairVote's executive director. "When people see how IRV helps us choose the movie the most people like best, they'll also see how it can apply to choosing candidates that are supported by a majority of voters in political elections. As we're seeing in a growing number of American communities that have adopted it, IRV gives voters more freedom of choice, saves money, and upholds the principle of majority rule." 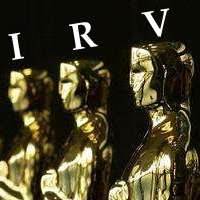 OscarVotes123.com will provide regular updates on the buzz surrounding the Best Picture contest, while explaining how the IRV system may change the usual dynamics and expectations. It arrives just in time for the big awards season. Established in 1992, FairVote is a nonprofit, nonpartisan organization that educates and enlivens discourse on how best to achieve a democracy that respects every voice and every vote. We pursue innovative research, strategic outreach and civic education in order to promote fair access to political participation, fair elections, and fair representation. For more information, contact rr(at)fairvote.org or (301) 270-4616.